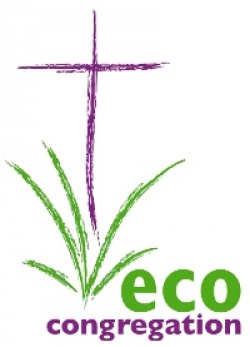 Eco-Congregation is an ecumenical programme helping churches make the link between environmental issues and Christian faith, and respond in practical action in the church, in the lives of individuals, and in the local and global community. We believe that part of our role as Christians is to protect, nurture and be stewards of God's creation. In becoming an Eco-Congregation we have made huge changes to the building's carbon footprint - from recycling as much waste as possible, to the installation of Solar Panels on the roof of the building to offset our power usage. It's a long-term change to the way we operate and a large commitment - financially and in our outlook - but we believe that, even though it's a small contribution in a global sense, we should do all we can to protect our world and its resources.